Tautachrome is launching the KLK cryptocurrency to support a global trade in goods, services and digital information made possible by its newly patentedKlickZie technologies, and required to support the immediacy, transparency, security and global reach of this commerce sector. The KLK cryptocurrency will begin life as an ERC20 compliant cryptotoken designated the KLK20 token on theEthereum blockchain with planned migration in a one for one swap to a crypto token on a faster blockchain, or in a one for one swap to a cryptocoin designated the KLK coin on our own custom high speed fully decentralized blockchain. The Company has developed two app platforms, KlickZie’s AugmentedReality based ArK platform (the “ArKnet”) and KlickZie’s Activation-based trusted imagery platform. These two platforms implement the cryptocurrency transaction activity in the KLK ecosystem. Tautachrome is launching the KLK cryptocurrency to support a global trade in goods, services and digital information made possible by its newly patented KlickZie technologies, and required to support the immediacy, transparency, security and global reach of this commerce sector. The KLK cryptocurrency will begin life as an ERC20 compliant cryptotoken designated the KLK20 token on the Ethereum blockchain with planned migration in a one for one swap to a cryptotoken on a faster blockchain, or in a one for one swap to a crypto coin designated the KLK coin on our own custom high speed fully decentralized blockchain. 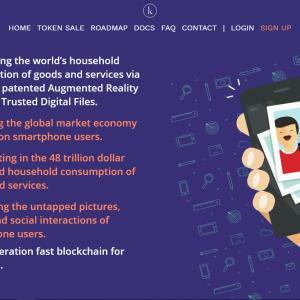 The Company has developed two app platforms, KlickZie’s Augmented Reality based ArK platform (the “ArKnet”) and KlickZie’s Activation-based trusted imagery platform. These two platforms implement the cryptocurrency transaction activity in the KLK ecosystem. 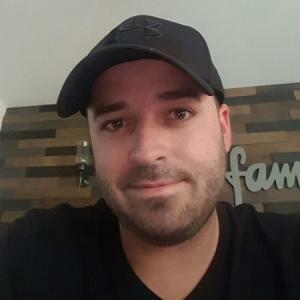 KlickZie ArKs add the blockchain power of frictionless, automated transactions between buyers and sellers in the world of commerce for goods and services of all kinds. KlickZie Activated Imagery lets consumers gain for themselves the value of their imagery and their digital information that up to now have been funneled to social network systems. These platforms give smartphone users consumers the ability to create digital products that employ the KLK ecosystem to generate new income. The KlickZie ArKnet platform enables sellers of goods and services to deploy Augmented Reality interfaces, which consist of digital information belonging to the seller, that advertises and facilitates the sale of the seller's goods or services using geo-located interfaces branded ArKs that serve the world’s goods and services commerce market. The KlickZie Activated Imagery platform allows the ownership and trustability of consumer imagery and other digital information to be reliably established, permitting consumers to extract profit from their own personal digital information.